Valero acquired the Pembroke refinery in South West Wales in 2011, marking Valero’s entry into the European refining market. Opened in 1964, the refinery is one of the largest, most complex refineries in Western Europe. It makes products including gasoline, diesel fuel, kerosene, liquefied petroleum gas (LPG) and petrochemical feed stocks. 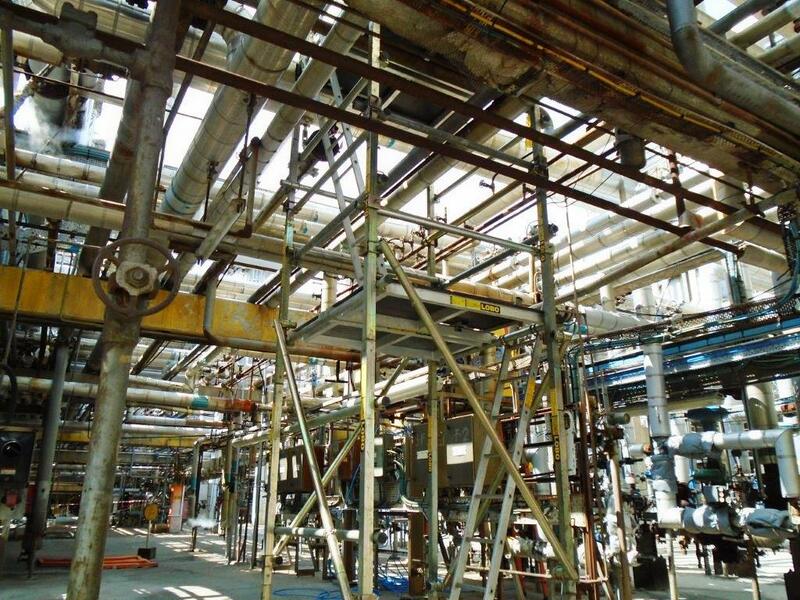 Within the refinery, scaffolding is used to provide access for preventative and reactive maintenance, inspection and operational tasks. For the last 30 years this been provided by an out sourced scaffolding company, and with rising labour costs continues to account for an ever increasing expense year on year for Valero. 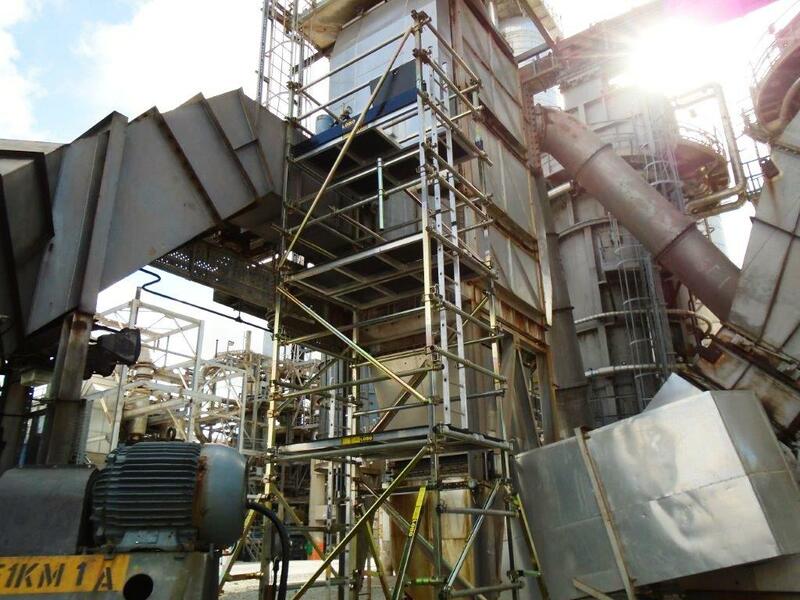 This has driven the site Refinery Services Department to completely review the scaffold and access requirements to identify safe and suitable lower cost alternative solutions to traditional scaffolding. During this research, the LOBO System was identified and a sample order, together with the approved training package, was purchased. Having received the LOBO System pilot order in 2013, a focus was placed to use it on all works, excluding the very high designed access applications. 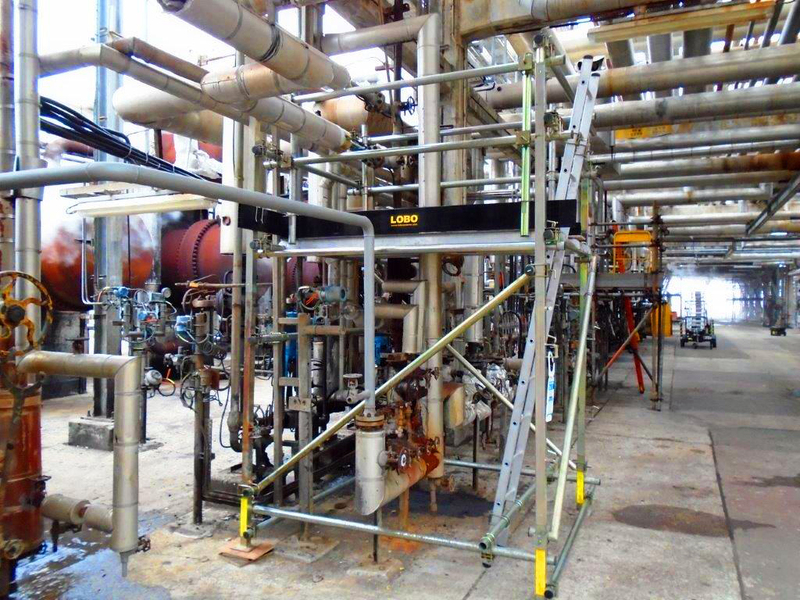 The plan was to use the LOBO System for many of the scaffolding jobs on routine maintenance that require working at height; it was estimated that as much as 75% of works needed a platform height of 4 metres or below. Other products or scaffolding would be used for the residual high applications. The LOBO System can be assembled without the use of any tools in minutes, safely and any shape or size and is not reliant on the scaffolding company to return and remove thesystems after the maintenance task has been completed, which can increase hire costs. Valero continues to use a number of different access systems for maintenance around the Pembroke Refinery site. 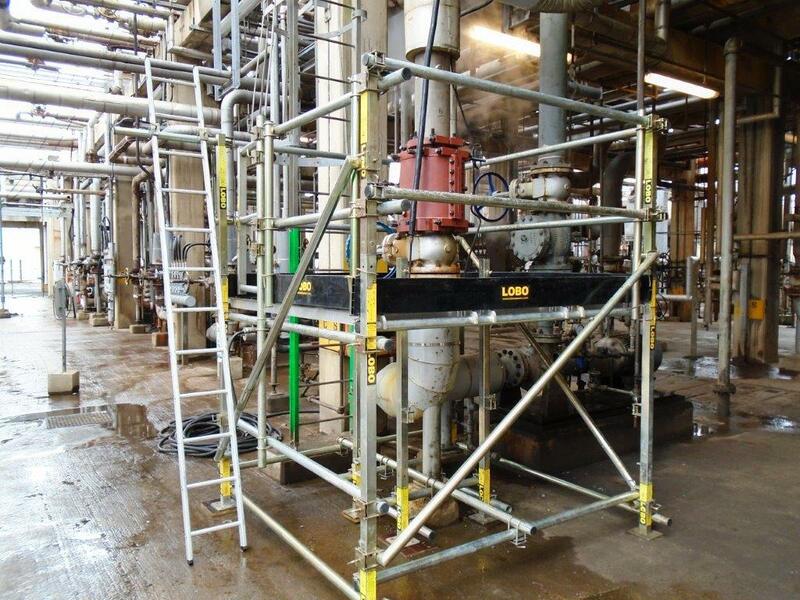 Scaffolding costs alone at Pembroke, are in the region of £300k a month and Valero has identified significant benefits in deploying the LOBO System since they first purchased in 2013. In 2014 the LOBO Advanced Platform System was used for around 8% of the applications, this increased to 15% by 2015 and it is expected to rise to more than 20% in 2016. As can be seen by the figures, well over £1,500000 of scaffolding costs were saved in the 3 year period from 2013 to 2016. If the increase in usage happens as it is expected to, over £3,500,000 will be saved in the five year period to 2018. Significant cost savings, by using the LOBO scaffolding system, have been made at the refinery in terms of labour cost and also in the reduction of maintenance down time. 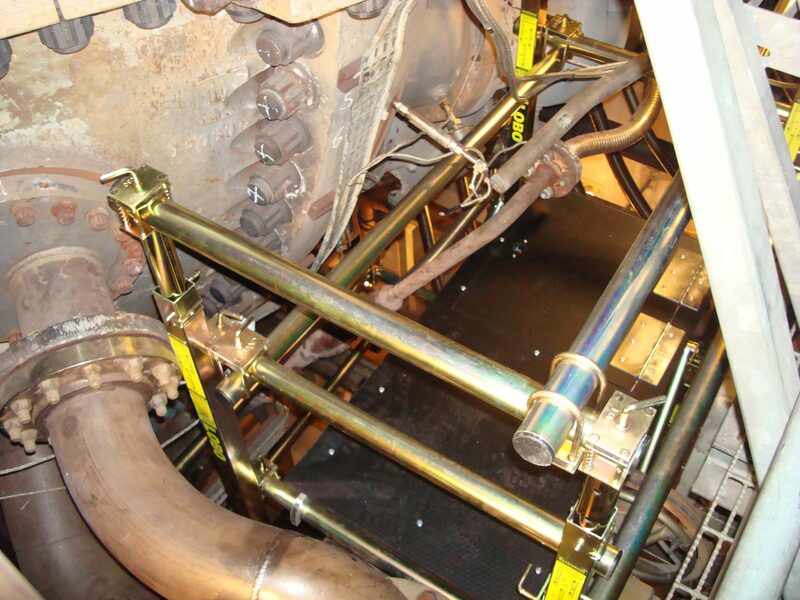 In house maintenance crews can assemble the system quickly and safely around, under or above plant, even in restricted areas. Maintenance tasks can be better controlled and out sourced scaffolding labour costs can be significantly reduced without compromising safety.